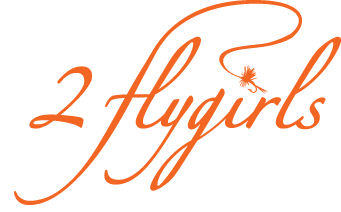 The 2 flygirls will be floating the Delaware this Saturday. And what a busy fly fishing weekend it will be, too—the Juliana's Anglers are holding their annual school on the Connetquot river; the New England Spey Clave takes place on the Farmington; Makes me wish I could be in more than one place at one time. But fishing with my flygirl takes priority. Hi Inshep, I had a similar experience on the Delaware this past weekend but unfortunately it ended in a short distance release, 10-15 feet from the bank. A 20+ inch brown took me into my backing. As my FF buddies would say, "it was headed for Trenton," (don't know why it would want to go there... ; ) At least I got a good look at the handsome spotted devil and it was a lot of fun! Thanks, Ray. It was a fun day. And thanks for the photos.